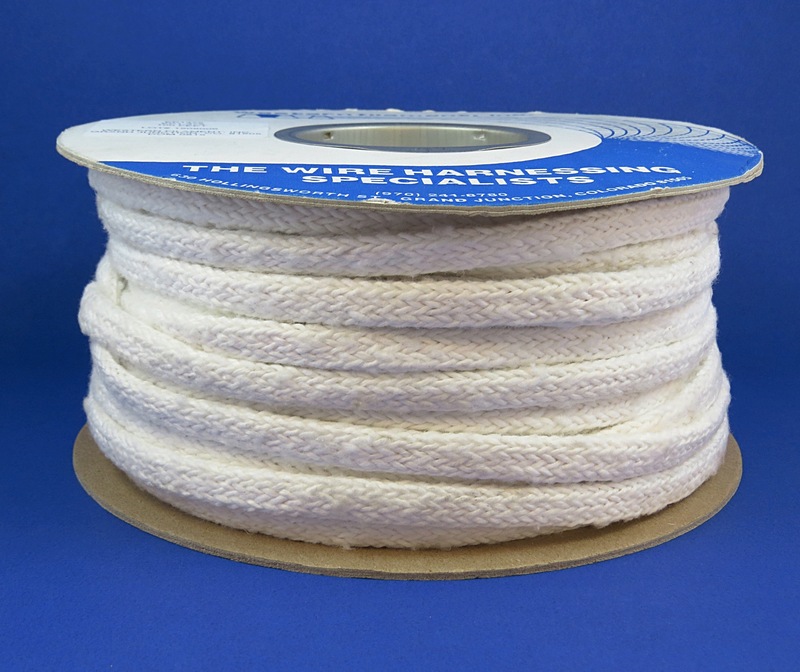 Dry Surge Ring Cable for VPI Systems - Western Filament, Inc.
Textured polyester yarn is braided into a flat, tubular construction. This dry Surge Ring encircles the end-turns and becomes a ridged, non-conductive band and/or restraining device. 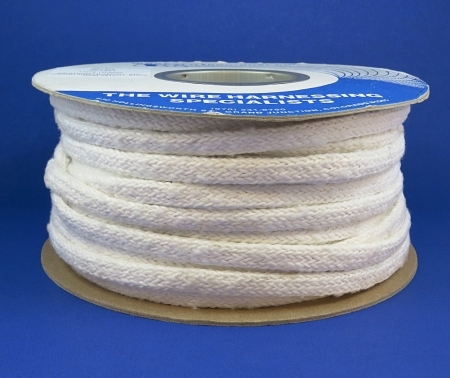 It is available with stranded Kevlar core (stronger than glass) for heavy-duty applications, or as a tubular sleeving for light duty or motor repairs. It requires no refrigeration and has an infinite shelf life. Ideal for the small motor repair shop or VPI systems. Available on request in larger or smaller sizes and in glass over glass in textured or continuous filament constructions. EP1100 1″ 5700 100 ft.
EP1625 5/8″ 3500 100 ft.
EP1375 3/8″ 1500 100 ft.
EP2100 1″ 5100 100 ft.
EP2625 5/8″ 2600 100 ft.
EP2375 3/8″ 1450 100 ft.